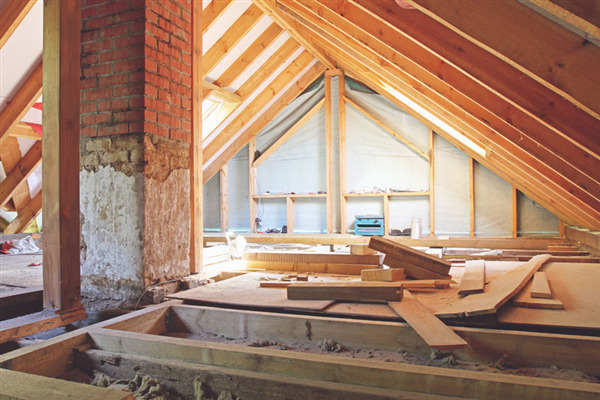 If you are looking to insulate your attic to keep your home comfortable and efficient, you’ll have three main options: cellulose, fiberglass, and spray foam. While all three types of fiberglass offer insulation for attics, they each have their pros and cons. Intelligent Design offers complete attic insulation installation for residential properties in Minneapolis and the surrounding area. If you would like to compare types of insulation, have any questions, or would like to schedule service, contact us today. Below, we compare the pros and cons of cellulose, fiberglass, and spray foam insulation. Cellulose insulation is the oldest material used in home insulation. It can be either a loose-fill material or blown-in. Cellulose is primarily made up of recycled materials. ● Cellulose can shift and settle to one side of the attic due to airflow. The insulation must be maintained and spread evenly from time to time. ● Does not create a tight seal. Cold and hot air can move through insulation. ● Cellulose dust can recirculate through the home via the duct system. ● Must be kept dry in the attic or it absorbs water. The chemical fire treatment is destroyed. Fiberglass consists of extremely fine glass fibers. It is available in two forms: blankets and loose fill. Fiberglass consists of plastic reinforced by tiny glass fibers. The material adds strength while improving its insulation capacity. ● Affordable for attic projects compared to other materials. ● Traps allergens, dust, and moisture which can lead to mold growth. ● Fiberglass insulation can release particulates into the air which may be inhaled. Inhalation can lead to coughing, nosebleeds, and other respiratory ailments. ● Fiberglass does create a tight seal. It allows airflow. Spray foam insulation creates a barrier that inhibits the flow of air and moisture. Open cell spray foam insulation can expand up to 100 times its original size to fill every tight spot in an area. ● Spray foam insulation isn’t a food source for pests that can get into the attic. ● Open-cell spray foam may have a slight odor after it has been applied. Which Attic Insulation is Best for Your Home? ● How much will the insulation save me in energy costs? ● Is the upfront cost worth the long-term investment? ● Which insulation is going to provide the most protection during the Minnesota winters? ● Will the insulation compromise the health or safety of my family? ● Which insulation requires the least amount of maintenance over the years? If you are looking for a practical way to insulate your home from freezing winters and hot summers, contact Intelligent Design today. We offer complete attic insulation services for residential properties. To schedule service, call us at 763-315-0745. « Are Your Windows Ready for Winter? How Important is Your Roof's Insulation?